The research, conducted by George Pinder of the University of Vermont and James Montague, a former doctoral student at the university, is based on a study of 38,391 natural gas and oil wells in Alberta, Canada. Companies in that province are required to test wells at the time they begin operating, to determine if they have failed and are leaking methane, and to keep careful records of each well's construction characteristics. The study used a machine learning algorithm to correlate wells that leaked and those that didn't with a set of 16 characteristics. wells with greater circumferences, whose larger casings required larger volumes of cement that increased the likelihood of voids. For a subset of 4,024 wells for which the algorithm had access to more complete information, including the fluid properties of the oil or natural gas being mined, the researchers were able to identify leaking wells with 87 percent accuracy. For a larger sample of 28,534 wells, where the fluid property was not known and taken into account, 62 percent of leaking wells were identified accurately. "The big picture," Pinder said of the study's findings, "is that we can now have tool that could help us much more efficiently identify leaking wells. Given that methane is such a significant contributor to global warming, this is powerful information that should be put to use." "Provincial and state regulatory agencies never have enough inspectors or financial resources to locate, let alone repair, leaking wells," said A. R. Ingraffea, the Dwight C. Baum Professor of Engineering Emeritus at Cornell and an expert in oil and natural gas well design and construction, who was not involved in the study. "The methodology created by this research will be invaluable to those agencies because they can now focus inspections on wells most likely to be leaking now or to leak in the future." The findings also shed light on how new wells should be designed and constructed to minimize the chance that they will leak, Pinder said. About 12.5 percent of the wells in the Alberta database were leaking at the time they were to become operational. More research is needed to look at methane leaks over time as wells age, said Montague, the study's lead author. "The failure rate is likely to underestimate the number of wells that will eventually fail and leak, given the clear possibility that they will degrade with age," he said. 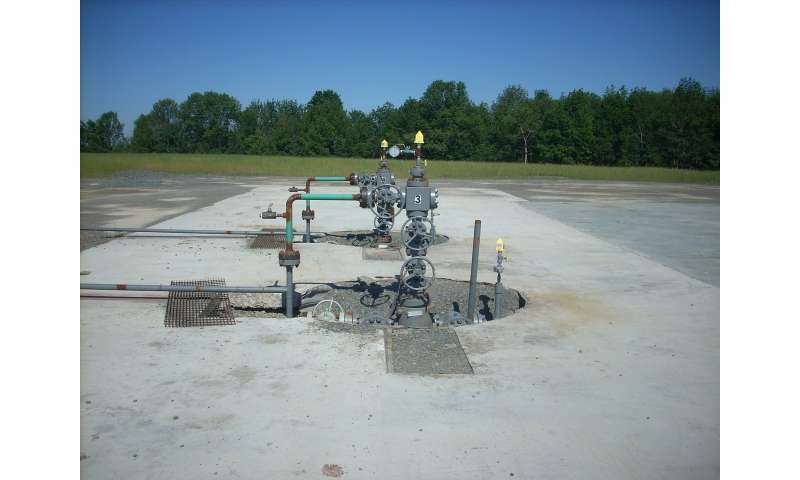 Research published in June in Science estimated that natural gas wells are leaking 13 million metric tons of methane each year, 60 percent higher that EPA estimates, offsetting much of the climate benefits of burning natural gas instead of coal. Methane is a highly potent greenhouse gas, with more than 90 times the climate warming impact of carbon dioxide over the first 20 years after it is released. Under the Trump administration, the Environmental Protection Agency has proposed reducing the monitoring of oil and natural gas wells for methane leaks and has created a variety of exemptions for regulation.